A critical review and analysis of innovative financial instruments for real estate development in Europe will be useful to EU and European national policy makers in public finance and real estate development. Case study examples from the UK, Germany and the Netherlands reveal any national nuances in innovative development finance. The examples chosen were the Battersea Power Station Development in London; Leipziger Platz site in Berlin; and the Lammenschans site in the city of Leiden, Netherlands. The studies reveal different approaches to the financing of development within a large scale development projects. The recommendations for policy and practice stemming from this study take various themes. First, securing blended and diverse sources of finance for real estate development is important, and projects need to be set within a collaborative-competitive partnerships framework. These partnerships need to consider the wider macroeconomic considerations such as interest rates and how that will affect various funding sources over the longer-term. Second, recent years have seen the growth of infrastructure bonds and there is a current opportunity to expand the use of project bonds into real estate development. Third, long-term sustainability and resilience is key, meaning a wider critique of some financial innovations should be explored – such as the greater pre-sale real estate revenue, foreign institutional finance, and legal co-operative finance approaches in re-parcelling sites. 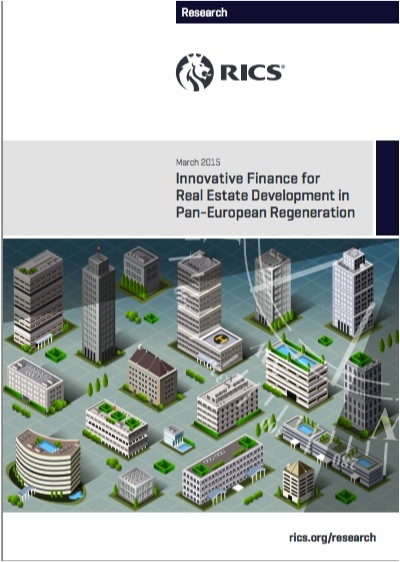 Finally, there is a need to consider the financial innovations emerging from equity (rather than debt) and the use of institutional funds in real estate development.